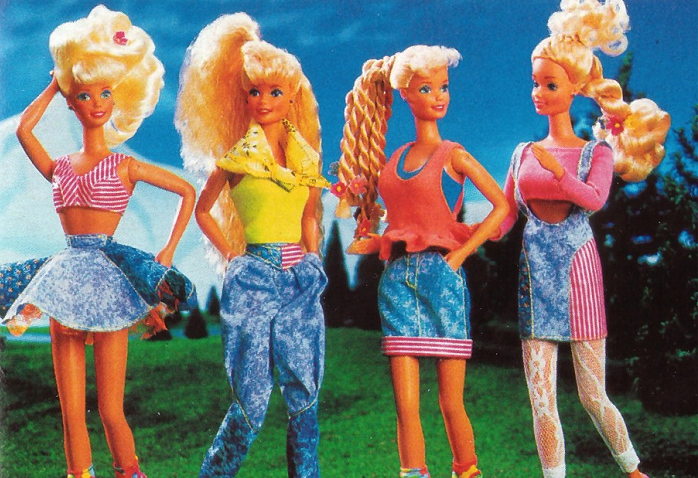 While a lot can be said for the original Barbie in terms of shifting the industry away from just baby dolls – which were intended to ‘prepare’ girls for motherhood at a young age – the infamous plastic Mattel toy has received quite a lot of backlash over the years, mainly for promoting a standard of beauty that is nigh unattainable. Barbie practically led the way for dolls to become collector’s items, beyond the traditional china dolls from the British Victorian era. The first-release original Barbie, if kept pristine in her box, can fetch up to $27,500. There have been other rare editions of the doll whose dresses are encrusted with diamonds and can garner even more money. So, for the avid doll collectors out there who have tired of their Barbie collections – what now? Say hello to these pioneering doll collections which are bound to be sold on for a pretty penny in future. Model Mala Bryan created Malaville Dolls when she realized how hard it is for black and mixed-race women to find a doll that looks like them. These dolls have a range of brown skin tones, and feature multiple textures of curly hair and accessories. Plus, the addition of flexible joints sets these girls apart from the traditional one-piece limbs. These green, upcycled dolls come from Australian toy designer Sonia Singh. She takes discarded Bratz dolls and repaints them, removing their over-exaggerated makeup and features and replacing them with a natural, no make-up face with more realistic proportions. The dolls come complete with handmade outfits that also come from recycled sources, so these dolls are great for both the feminist and the environmentalist! Made with proportions equal to the average teenage girl according to the CDC, Lammily is perhaps the best example of providing realistic standards of beauty to modern women. She comes with casual outfits that fit modern style, and has stickers available to customize her body to reflect a variety of features, from scars and stretch marks to acne. These really allow women to know that they don’t have to be “perfect” to be beautiful. Angelica is an interesting doll, with almost baby-like features contrasting against a well-designed and structured face, and long, style-able hair. She’s designed mostly around that glorious head of hair, which is an accurate recreation of natural African-American hair and can be braided, brushed, and even washed, allowing black women to find a reflection of their natural hair. A UK brand, Makies allows complete customization of dolls down to birthmarks, scars, and even disability aids such as canes or hearing aids. If you are more inclined to buy a pre-made doll, Makies has you covered there as well, providing diverse dolls with unique backstories that do not focus on their color or disability (yes, they have pre-made dolls with disabilities and unique backstories!). The articulation of the limbs on these dolls is superb, and with the customization available, this makes for some fantastically realistic play for kids! American Girl dolls have always been a bastion of diversity, and have never perpetuated unrealistic beauty standards. They are on the expensive side, with a single doll costing upwards of $100, but this is expected for serious collector’s items. The option to purchase additional outfits and accessories can’t be overlooked as a great feature as well! Most dolls on the market are either babies or full-fledged women, but Lottie fills the void in between. She’s got a ‘tween’ design and comes with a huge variety of interests from paleontology and naturalism, to pirate queen to ordinary student. She was built to empower girls and women to do whatever they desire and get them excited to learn about their favorite topics, even if they aren’t necessarily “girly”. The themes and outfits on these dolls is what takes the cake, and though her eyes are still overly large, Lottie is much more realistic than some of her contemporaries. A fashion doll who is approximately eleven inches tall, Blythe features oversized eyes and a large head. The doll’s eyes change color when a string is pulled. The color changing eye feature was inspired by a mistake in the inventor’s daughter’s contacts. The doll has been around since 1972, but recently enjoyed a comeback with new editions of Blythe being released in 2001 and continuing to sell today. She is meant to serve as a customizable doll, with hobbyists who design clothing for her and photograph her as a model doll for their own garment creations. The dolls above showcase the recent efforts to change the stigma associated with traditional Barbie dolls. New Barbie dolls are coming out with a wide range of proportions and skin colors, really opening the door to more inclusion; but Barbie was not the first to address the problems that had been troubling parents for years. These new dolls are starting to take some market share from the toy titan for the first time in generations. New generation of modern dolls with more attractive designs and costumes.